Living my dreams everyday, thank you for supporting them! Born and raised in Rochester, MI, Megan Rochester High School prior to setting her sights on the Pacific Northwest and the University of Washington, where she earned a degree in Communications with a minor in Diversity. While competing for the Huskies, Megan was a 9-time DI All-American and brought home the 2013 Pac-12 Conference Championship in the 5k. 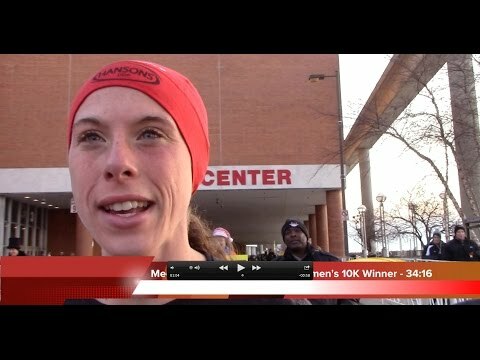 Megan is a fixture among the nations top distance runners. On the track and in racing, Megan is a gritty and tenacious competitor, running with her heart and leaving everything she has out there. Off the track, she has a quick witted personality and enjoys laughing with friends. When speaking of her love of running, Megan says, "Running is my passion and it has introduced many amazing people into my life, taken me to some incredible places, and given me opportunities to experience things I otherwise never would have had the chance to. I strive to motivate people to become involved in the sport, no matter their skill level, and inspire them with my actions both on and off the track!"